Although male carpenter bees are known to be aggressive, they do not have a stinger like the female does. The biggest problem people have with carpenter bees is when the bee burrows a tunnel into the wood of a home or building to build their nest. Carpenter bees are large and resemble bumblebees, but their abdomens are smooth and shiny black. Carpenter bees can cause extensive damage to properties by burrowing into wooden structures to build their nest. Carpenter bees are commonly confused with bumblebees. Carpenter bees are large and do resemble bumblebees, however carpenter bees have shiny, black, hairless abdomens, while bumblebees have densely hairy abdomens. Carpenter bees make their nests by tunneling perfectly circular holes into wood, leaving a tell-tale pile of sawdust behind. Their preferred wood is usually bare, weathered, unpainted surfaces, or softwoods like redwood, cedar, cypress and pine. 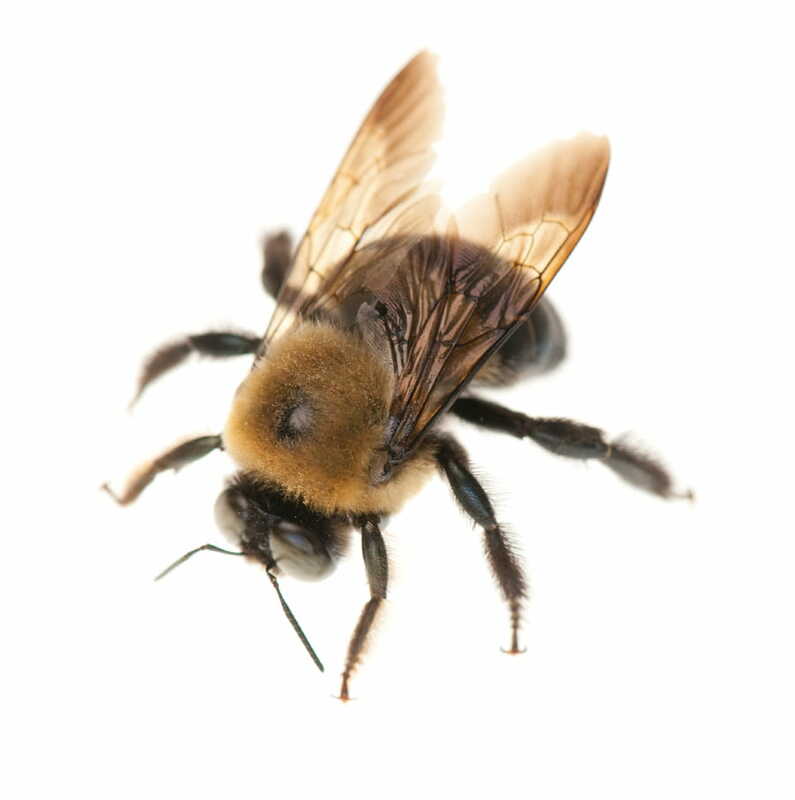 Carpenter bees can burrow into any wooden structure, such as decks, outdoor furniture, siding, wooden window trim and depending on the amount of damage, some structures may become unstable and in danger of collapsing. After mating, female carpenter bees will tunnel into wood to lay their eggs in a series of small cells. Sometimes they will reuse old holes or excavate to enlarge them. Pollen collected from flowers is placed in the cells for the larvae to feed on during their development. As adults, the bees will forage flowers in search of nectar to survive. Carpenter bees can live for up to three years and have up to two generations of offspring per year. 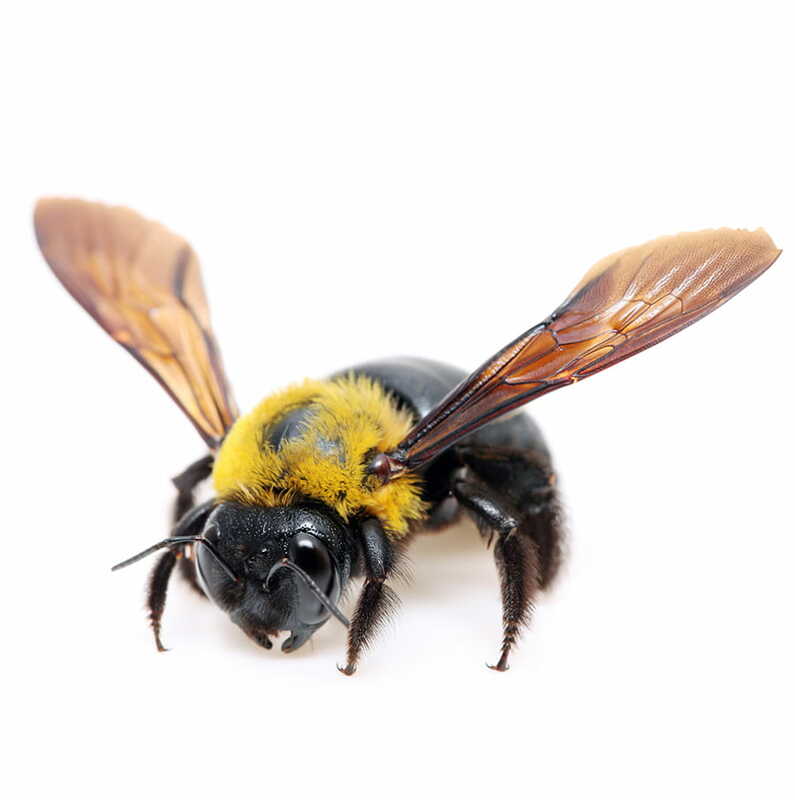 Are carpenter bees hazardous to humans? Can carpenter bees damage my property? Carpenter bees do not eat wood and they will not destroy your house. They damage properties by tunneling into wood to create nesting chambers, boring entry holes about 1 inch deep. How do I remove a carpenter bees infestation? To remove a carpenter bee infestation, plug the holes that they burrow during the fall months, then spray a residual insecticide in the areas where the bees are active. 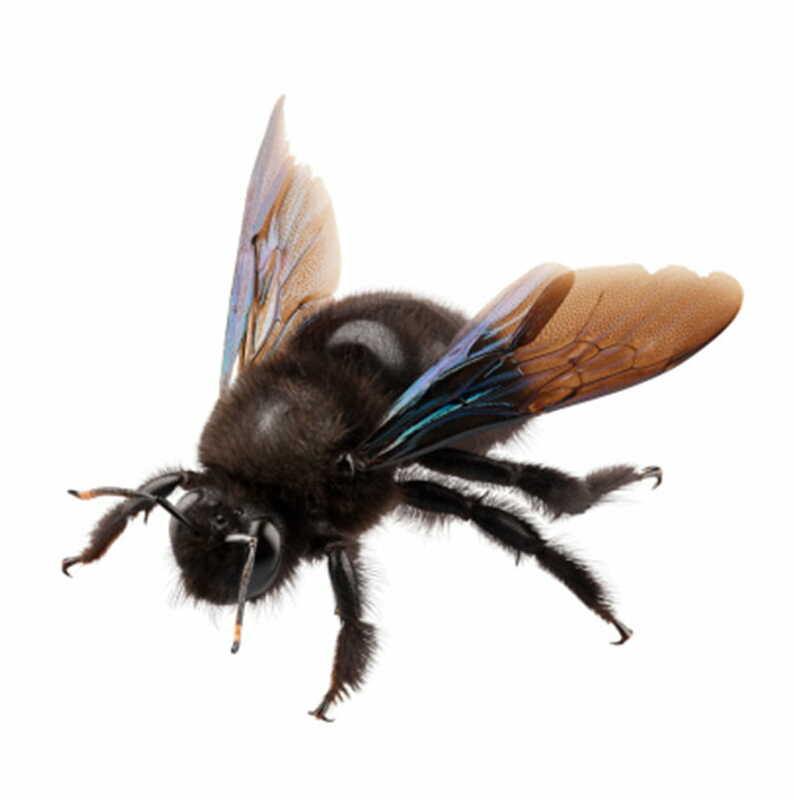 For a more severe infestation of carpenter bees, call Abell Pest Control. We are familiar with the habits of carpenter bees and have the necessary tools to remove an infestation.